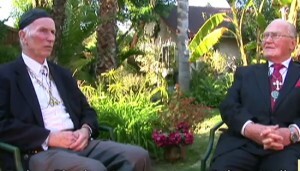 In this first video — How things are getting better and the Grace Gravity of the Sun There are 4 videos here from the first and only conversation between Father Charlie Moore and Robert Muller who met one day out in a sunny backyard and had a conversation. The first and only conversation between Father Charlie Moore and Robert Muller who met one day out in a sunny backyard and had a conversation. Most people are really good and things are getting better all the time. We’re trying to get rid of some of the stuff of the dark ages. It gets in the way. We make the world better, by making our own world better and seeing it in everyone around us. Grace is gravity and gravity is grace. Grace is attraction seen between spiritual essences. Gravity and Grace are both the same thing. Gravity operates in space/time and Grace operates beyond it. Time brings cycles of change according to the grace gravity of the sun and the stars as they move away or toward each other they pull our feelings and hearts with them. It is literally happening. Cooperate with the rising Grace Gravity of the Sun. The Angels are the Stars. Fr. Charlie graduated from Stanford University (AB 1949, LLB 1951), was admitted to practice law in California, and was elected District Attorney of Santa Cruz County in 1954. He was ordained a Roman Catholic Priest in 1964 and holds degrees in philosophy and theology from Catholic University. His avocation is language: he has studied Spanish, French, Italian, German, Welsh, Latin, Russian and Japanese and is acquainted with Sanskrit and Chinese. “I’ve got good news for you. Your original innocence is intact. And there is no such thing as original sin. Innocent does not mean not guilty; it means uninjured. There are 4 videos from this interview here on YouTube/knewways on the http://www.knewways .